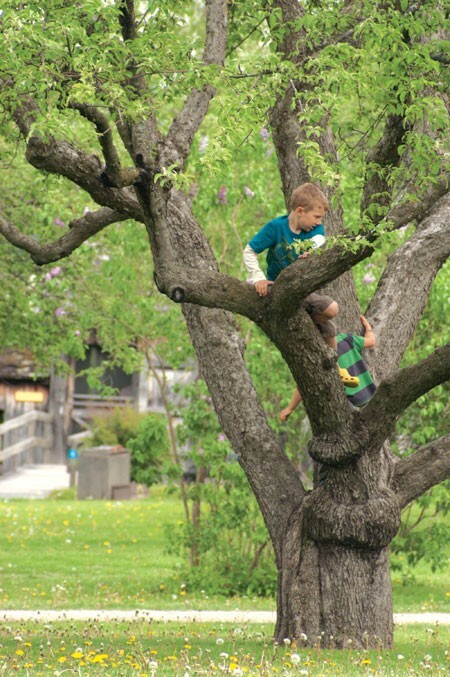 Vermont Day-cations: Shelburne Museum and the Biodome | Features | Kids VT - small people, big ideas! 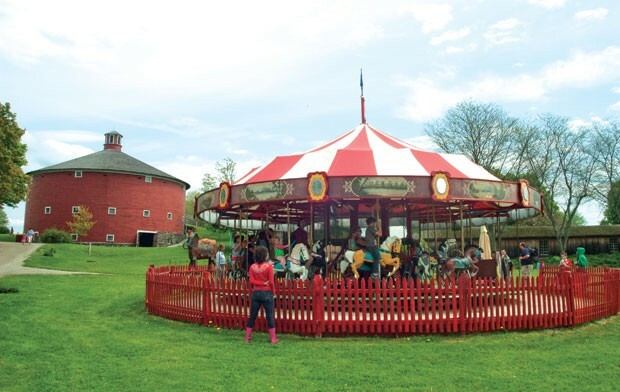 If you live in Vermont, you don't have to travel far to find family-friendly summer fun — but sometimes you want to. 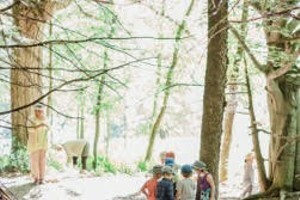 This summer, we're asking our Kids VT contributors to visit some of our favorite destinations, both in-state and around the region. We'll share their adventures in our June, July and August issues. Looking for more day-trip ideas? Click here to check out the first three installments of the Vermont Day-cations series, published last summer. I have a problem child. The problem is that, at the tender age of 8, David doesn't want to go anywhere anymore. We've traveled so much — from Disney World to Angkor Wat — that he's sick of leaving the house. In late May, though, I coaxed him into going to the Biodôme with the promise of ice cream and a gift shop — two things I was pretty sure it could offer, in addition to an astonishing array of ecosystems: the tropical rainforest, the Laurentian maple forest, the Gulf of St. Lawrence, the Labrador coast and the sub-Antarctic. Bladders full, we arrived at the Biodôme on a Sunday at high noon, along with everyone else in Montréal. Despite the crowds, the ticket line was quick, and there was no wait for the big, clean bathrooms. David held tightly to my hand — afraid that he might "get stolen" among the masses — as we entered the first, Amazonian-like atmosphere. Once inside, though, he relaxed. The lure of birds and monkeys was far too strong for him to be tied to mama. Plus, the color was breathtaking, as was the humidity, which is maintained at a sweaty 70 percent. 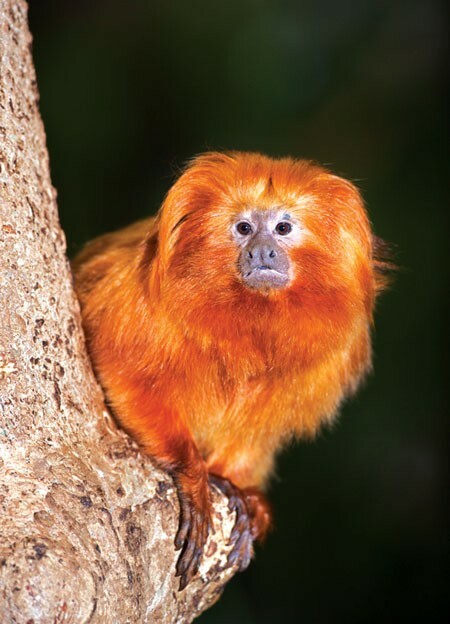 The dragon's blood shrubs, bamboo palms, and Brazil nut and cocoa trees were full of avian life, such as the scarlet ibis and hyacinth macaw, in addition to sweet beasts, such as the gorgeous golden lion tamarin and the ground-dwelling cuddly capybara. It took a leisurely two hours to wind our way through the changing seasons and ecosystems. David paused frequently to use the touch screens to get more information about the flora and fauna. He lingered longest at the expansive sea of urchins in the Labrador coast. "How would you walk if you were in there?" he asked. I wanted to crawl into the sub-Antarctic air with the adorable breeds of penguin before we headed back out into the 90 degree temperature outside. That wasn't an option, but we were able to delay our return to the real world by buying $5 rocks in the gift shop and eating $2 ice cream at the bistro. 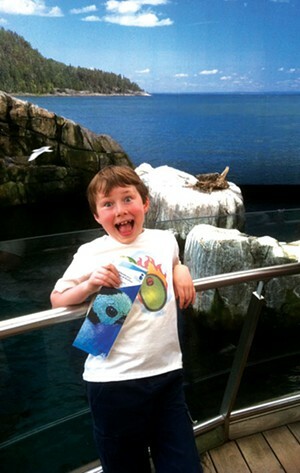 On the way home, I asked David to rate the Biodôme on a scale of one to 10. "Seven and three-quarters," he said — high praise from my reluctant traveler, especially considering that Disney World only got 8. What about Angkor Wat? Well, that's a whole other story. Children and adults must have current passports to enter Canada and return to the United States. 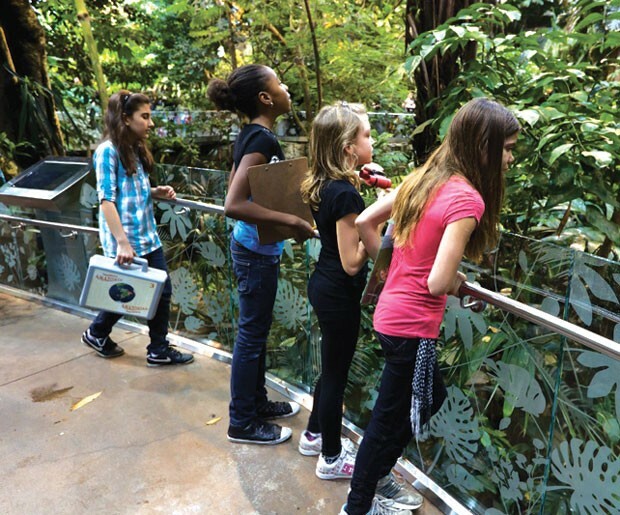 The Biodôme's summer operating hours are 9 a.m. to 6 p.m., seven days a week. Admission prices (Can): Adult $17.75, senior $16.75, student 18+ $13.50, child 5 to 17 $9, under 5 free, family $50. To avoid the crowds, arrive as close to opening time as possible. We recommend St Hubert, renowned among Québecers for its roasted chicken. 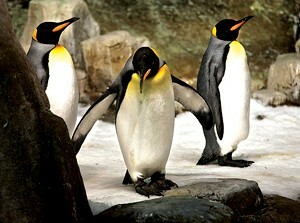 There's one near the Biodôme. On the kids menu is "wrapeedoo," a chicken-salad wrap. You can also get lunch to go and enjoy it on the picnic tables outside the Biodôme. 7870 rue Sherbrooke Est, Montréal, 514-385-5555, st-hubert.com. David and I do not recommend the cafeteria or bistro inside the Biodôme — both are expensive and lackluster. On several occasions, we have stayed at the Hyatt Regency Montréal downtown because we've gotten a room for under $100 through Priceline. The hotel has a great indoor pool, overlooks the city and has a fantastic bar — the combination of which meets our family's needs. There are a few non-descript hotels in the vicinity of the Biodôme, but in addition to being unappealing, they host bus tours — a deal breaker for us. 1255 Jeanne-Mance, Montréal, 514-982-1234, montreal.hyatt.com. Add bugs and butterflies to the list of things to see. The Insectarium is a short walk from the Biodôme, along with the Botanical Gardens, at 4101 Rue Sherbrooke Est, Montréal, 514-872-1400, ville.montreal.qc.ca/insectarium. For a picturesque view, ride to the top of the Olympic Park Tower, which is billed as "the highest inclined tower in the world at 165-meters high and has a 45-degree angle. 4549 Rue Pierre De Coubertin, Montréal, 514-252-473, parcolympique.qc.ca. Some moms get breakfast in bed — or brunch at a restaurant — on Mother's Day. This year, I had to beg for a cup of coffee. Despite the occasion, my husband and 10-year-old twins seemed determined to treat me like an everyday mom. If we stayed home, I realized I'd be expected to act that way, so I brought the clan to opening day at Shelburne Museum — one of our favorite places to visit. I hoped the beautiful grounds and sunny skies would help me forget my everyday family's failings. Things started looking up right away: For being among the 200 first arrivals, I got a free lilac clipping — Mother's Day flowers! There's nothing in Vermont — or anywhere — like the Shelburne Museum. Open to the public since 1952, it consists of an eclectic collection of buildings and objects amassed by wealthy New England collector Electra Havemeyer Webb. Visitors can see more than 150,000 items of Americana in historical buildings that she moved — or, more likely, had moved, — to the 45-acre site. Weather vanes? Duck decoys? Historic guns? Antique carriages and sleighs? Vintage toys? Shelburne Museum has 'em all. This is an everything-but-the-kitchen-sink museum. Come to think of it, there is probably a collection of antique kitchen sinks on those gorgeous grounds somewhere. 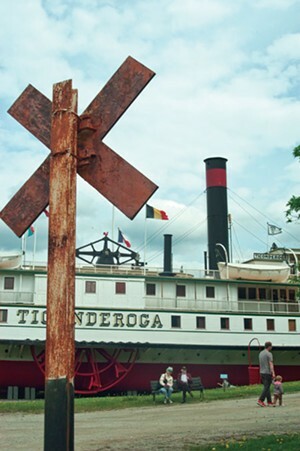 My kids made a beeline for the Ticonderoga, a 220-foot, side-wheel steamboat that ferried passengers around Lake Champlain until the 1950s. They toured all the decks imagining life as a passenger, porter or coal stoker on the Ti. I imagined myself sipping a Mother's Day mimosa in a chaise lounge on deck, but I settled for the warm, lilac-scented May breeze. From the Ti, my kids stopped in at Owl Cottage, where, as part of the opening-day festivities, they each planted a sunflower seed in a tiny pot to take home. A space devoted to imaginative play and crafts, the cottage was a favorite stop when they were 4 and 5. They would draw on the chalkboard wall, play at the train table or pretend to cook in the kitchen for hours on end. As we left the cottage, I juggled my lilac clipping, the map and the pots the kids foisted on me — more Mother's Day flowers? — and we headed to the blacksmith building. This has been my kids' favorite exhibit since our first trip to the museum six summers ago. Back then, they were mesmerized watching the blacksmith hammering strips of steel on the anvil. This time, we watched the smith make a key-chain fob while explaining the difference between coke and coal and between white-hot and red-hot steel. The kids were transfixed. We went from the forge to the old-time jail, with a little tree climbing along the way. No one has ever stopped them from climbing, so I like to believe that it's OK. At the jail, they played criminals and sheriffs, locking each other up in a tiny, dark, two-room stone cell. This routine never seems to get old. Thankfully, there are plenty of benches and split-rail fences to sit on while they play. "Do you guys want to ride the carousel?" I asked as we made our way to the exit. "No . . . that's for little kids," they told me. Instead, we stopped at the Settler's Cabin, an 18th-century, one-and-a-half-room log house, where a docent dressed in period clothing was cooking in iron pots over a wood fire. As I contemplated a life of washing clothes and dishes by hand, sweeping a dirt floor, and cooking without a stove, I concluded: Maybe being an everyday mom isn't so bad after all. The Shelburne Museum is open from May 13 through October 28, Monday through Saturday, 10 a.m. to 5 p.m. and Sunday, noon to 5 p.m. Admission prices are as follows: adult $20; children (5 to 18) $10; children under 5 free. Family day pass $50 (2 adults and their children ages 5 to 18). Vermont residents half price. Tickets are half price after 4 p.m. every day but Thursday. The Museum Café at the Shelburne Museum serves generic sandwiches, salads, hamburgers, hotdogs and flatbread. Shelburne Supermarket has a deli counter where you can order hot or cold items for a picnic lunch. 20 Shelburne Shopping Park, Shelburne, 985-8520. Harrington's has a small deli counter that serves sandwiches. 5597 Shelburne Road, Shelburne, 985-2000. Archie's Grill offers handcrafted fast food (see Out to Eat, page 15). 4109 Shelburne Road, Shelburne, 985-4912. The Lemon Peel Café & Creperie is the newest restaurant in town, serving crêpes, soups and salads. 195 Falls Road, Shelburne, 985-9511. You can take a hike, sample some cheese and see some farm animals at Shelburne Farms, the former William Seward and Lila Vanderbilt Webb estate. 1611 Harbor Road, Shelburne, 985-8498, shelburnefarms.org.